Click here my loyal readers - spend virtually nothing and absorb a full day of knowledge in the process. Not a bad deal, eh? My talk lasted about 75 minutes. As I meandered through the slides, one thing became clear ... the audience wasn't buying what I was sharing with them. Speakers can tell when the audience is not buying the message. Heads shake back and forth. People whisper to attendees near them. One person had a laptop in front of her ... she raised her hand and said "I'm looking at the company you just mentioned and they are promoting clearance products today, so obviously whatever they were doing didn't work. Are all of the ideas you are sharing today going to turn out like this?" "That specific idea will not work at my company. What else can you share?" I learned (the hard way) that by sharing 100+ ideas, I was giving the audience a hundred opportunities to say "no". The audience could reject each idea, and then say "next" ... and as the next idea appeared, they could reject that idea, and then say "next". Again and again and again. The audience was being "strategic" of course. But the presentation format allowed the audience to constantly say "no" ... over and over and over. That's the case at every conference, come to think about it. The presenter works hard to come up with a ton of ideas, and then the audience sits back and rejects the ideas. "That specific idea will not work at my company, because Betty will never let anybody do that and to be honest our brand is unique and our brand is special so all of the ideas being shared do not apply to our case study." So maybe it is time to do something different? On March 30, I will spend two hours leading the audience through a business simulation. The room will be divided up into between 10 and 20 teams. Each team will be given an investment budget. Each team will be asked to market three unique products. Each team will be told the cost of goods on each product. Each team will be asked to set the price of each product. Each team will allocate resources between offline marketing, online marketing, and mobile/social marketing. I will enter every business plan into the simulation spreadsheet. Once each team sets up their business/investment plan, the simulation will generate a profit and loss statement for each team. Each team will be able to see how they performed, and each team will be able to see how every other team performed. If you set your prices really low, you might gain market share (at the expense of other teams) but profit might be awful. I will host a "Business Review" at the end of each year ... sort of like those reality shows that host the participants in the reality show so that the participants can answer audience questions and argue a bit more for ratings purposes. Then, your team will craft your investment strategy for Year 2. You will know what every other team did the prior year, and you will know how you performed the prior year.. As you craft your strategy, every other team will craft their strategy. When the strategies have been crafted, we run the simulation again, producing Year 2 outcomes. Again, you'll get to see how you stacked up against the competition. We'll repeat the process for Year 3, for Year 4, and for Year 5. The team that produces the "best outcome" after Year 5 wins the simulation. What is the "best outcome"? It will be an outcome that balances sales growth with profitability ... sort of like what you are asked to achieve each year for your business. 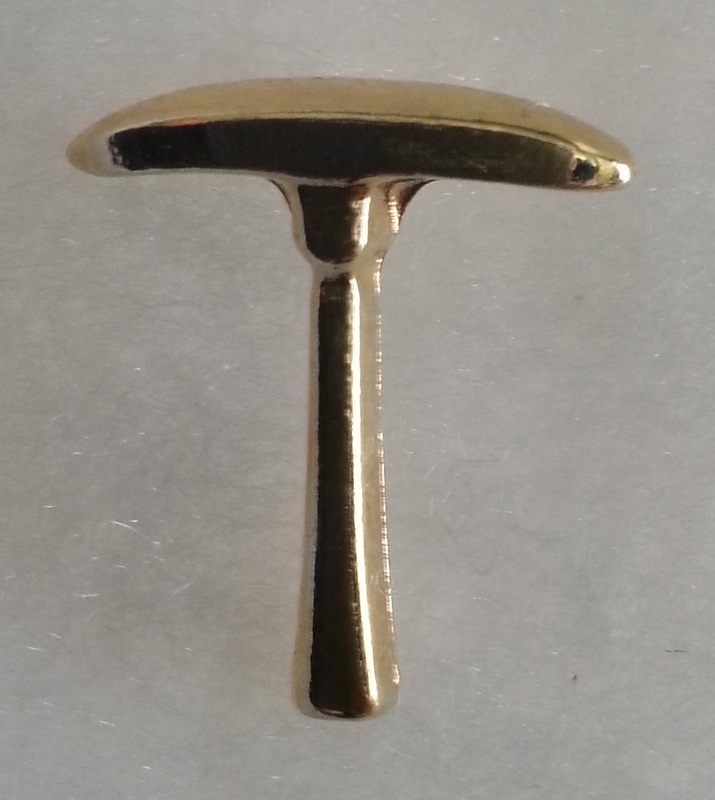 Each member of the winning team earns a coveted MineThatData PickAxe! At the end of the simulation, we'll discuss how you as a Business Leader reacted to the metrics you were seeing. Why did you react a certain way in response to what "the competition" was doing? We'll talk about metrics ... the metrics you observed, the metrics you wish you had, and your response to the metrics you actually had. We will discuss the role metrics play in growing a business, and we will discuss the role decision making and business smarts and business courage play in growing a business. This is going to be so much more enjoyable than listening to a speaker drone on for two hours about Low Cost Customer Acquisition Programs that you know you have no intention of ever implementing. This is going to be so much more enjoyable than hearing a talk from a vendor executive who paid $20,000 to get access to the audience. So why not be part of something different, unique, and enjoyable? Why not try to outwit, outplay, and outlast the competition? Wait. That sounds vaguely familiar. Ok, click here and get signed up right now ... let's go folks! !